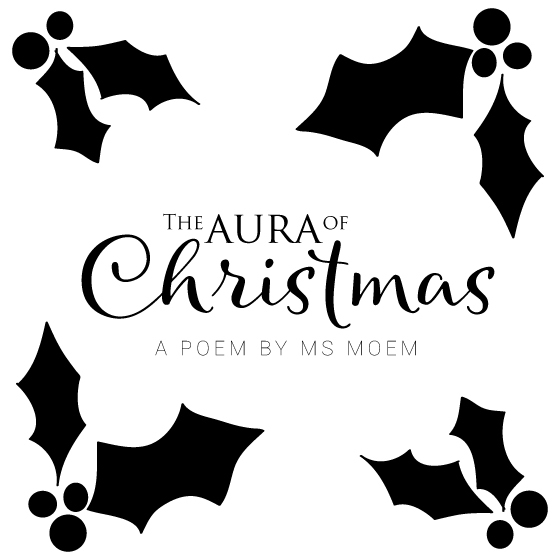 The Aura Of Christmas | Poem | Ms Moem | Poems. Life. Etc. the smoke from the chimneys, the stocks in the stores. Yes, all the signs point to that time we all wait for. the streets decked out in fairy lights for a fabulous visual treat. covering them with baubles, tinsel and coloured lights. catching up on everything since they last saw them around. and with that you know that Christmas is about to come again!